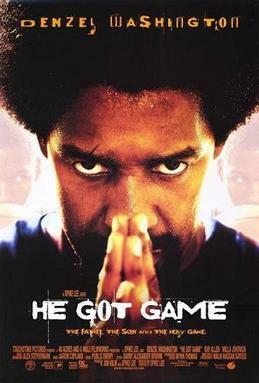 Does anyone remember the 1998 Spike Lee movie He Got Game starring shooting guard Ray Allen? Well if you didn’t see the first one, you may have a chance at seeing the sequel, because Lee and Allen are seriously mulling over taking the film back to the big screen. According to the Associated Press, the fictitious basketball phenomenon Jesus Shuttlesworth could be lacing up his sneakers to hit the basketball court again in the near future. Allen has even stated that he and the famed film director have spent time discussing the potential film over the past few months, making a collaborative effort to come up with storylines and concepts for the film. Lee has even hinted toward a ‘Jesus Shuttlesworth return’ with several pictures he’s posted on his Instagram account. Back in Dec., the Jungle Fever film director shared a picture of a customized Miami Heat jersey with Allen’s #34 on the back. However, the name ‘Shuttlesworth’ was stitched on the back of it. Fans of the original film will have to wait how the details unfold over time. But, it looks as though the sequel may definitely be a go!